In my family it’s pretty common to listen to the same three or four Christmas albums over and over and over again. Bing Crosby’s Merry Christmas, Burl Ives Have A Holly Jolly Christmas, Christmas with The Chipmunks featuring Alvin and the Chipmunks, and Christmas with Boney M.
It’s like clockwork. But every so often, my parents slip and let one of us take the helm, and that’s when I get to put on my favourite Christmas album. Michael Bublé is a Canadian well known for his abilities as singer, songwriter, actor and record producer. In fact, he has won several awards and honours, multiple Juno Awards, and four Grammy Awards. His first album BaBalu charted the top ten in both Canada and the UK, but it wasn’t until his fourth album, It’s Time, that Bublé found a worldwide audience. Then his 2007 album Call Me Irresponsible did even betters – it was able to reach number one in Canada, the UK, the US Billboard 200, Australia and several European charts. Bublé’s 2009 album Crazy Love debuted at number one on the US Billboard 200 after just three days of sales… It was also his fourth number one album on Billboard’s Top Jazz Albums chart. But His 2011 holiday album, Christmas, did the best yet as it was in first place on the Billboard 200 for the final four weeks of 2011 and then for first week of 2012, totalling five weeks atop the chart. 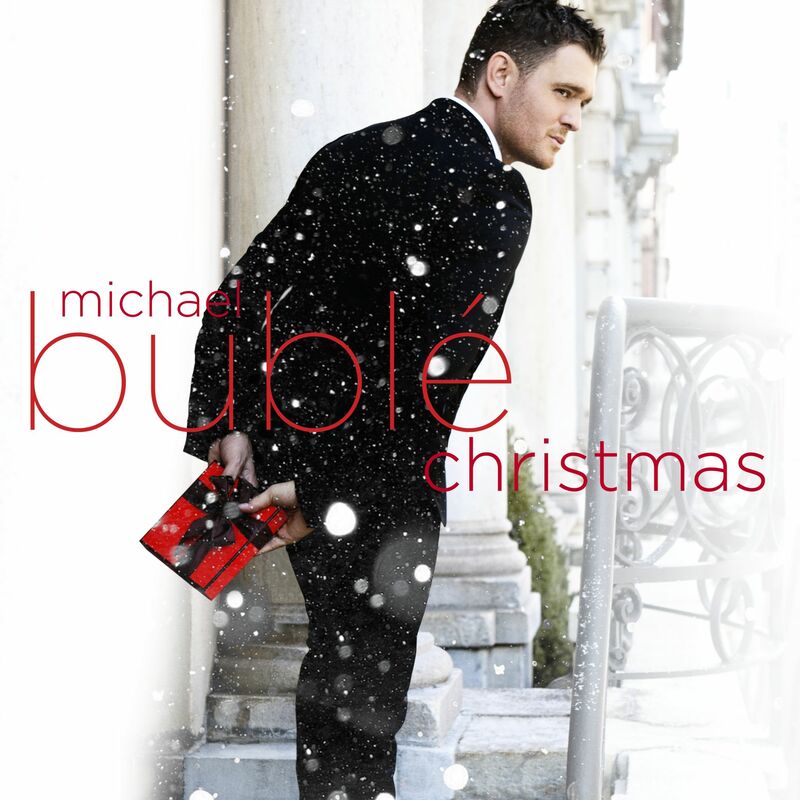 Christmas is a big deal for Bublé, and no I’m not talking about the holiday, I’m referring to the album. In fact, I’d say his album is a big deal to a lot of people. It was the first holiday album to win a Juno award for album of the year. I was reading reviews of the top holiday albums ever and Michael Bublé really is in good company with this record. You often see artists like Bing Crosby, Nat King Cole, Elvis, Alvin and the Chipmunks, Mariah Carey, and The Beach Boys on those kinds of lists, but there is something special about this Canadian crooner that allows him to fit right in with both the old and the new Christmas jams. He does a great job reimagining Carey’s All I Want For Christmas Is You, has some fun on his duet with the Puppini Sisters for Jingle Bells, and really gets into the big band mode with It’s Beginning To Look A Lot Like Christmas. Silent Night is hauntingly beautfiul and simple in it’s delivery, and the gender twist on Santa Baby is pretty cute, sparking a few laughs from me each time I listen to it. Also the duet with Shania Twain on White Christmas is something special for fans of both artists. If you like Michael Bublé this album will suit you just fine. If you like classic Christmas music, this album will suit you fine too. If you don’t typically like either Michael Bublé or Christmas music, then I caution you to avoid this, because it’s a lot of fun and maybe you don’t like fun, so why are you even reading this post in the first place. This is hands down my favourite holiday themed album, and there are some excellent ones out there to be sure. Why I enjoy this over other is because it offers an excellent mix of old and new, and it’s length is perfect for unwrapping presents, take a short trip out of town to visit the in-laws or while you are lounging with brandy and wine after Christmas dinner. This really will get you in the holiday spirit friends, and I hope you have a holly, jolly Christmas. This is my last album review of the year, check back on January 2nd for something new. And come back tomorrow for my favourite Christmas movie, reviewed just for you!